We have some delicious new dishes for you on our à la carte menu served in the restaurant and lunchtime and in the evening. These are of course in addition to your favourite seafood dishes. Seared West Coast scallops, creamy smooth cauliflower puree, fresh crunch of pomegranate seeds and black pudding crumbs. A fantastic combination. 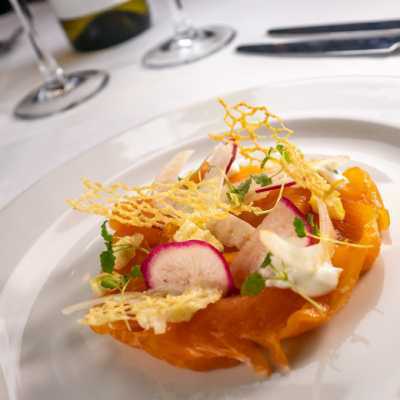 Inverawe smoked sea trout - a deliciosly light change from smoked salmon - with finely sliced salad of fennel and radish, lemon cream cheese and croutons. Crispy slow cooked pork belly that's sweet and melts in your mouth and contrasts beautifully with poached and pureed pears with aromatic spices. 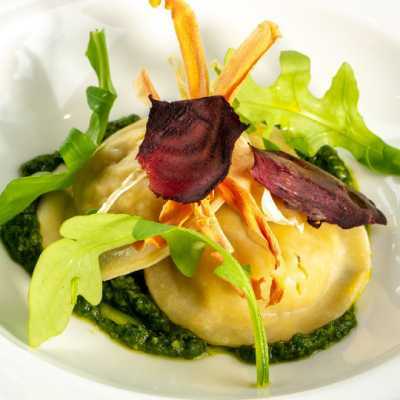 Butternut squash and sage ravioli using Chef's classic pasta recipe served with the fresh taste of kale pesto (made with fresh kale and parsley). Roasted 'on the bone' fillet of monkfish - Chef takes the whole fish tail and prepares it in to portions with the bone left in before it is oven roasted. Perfectly accompanied by fondant potatoes and a smoked haddock and pancetta cream and seasonal creamy savoy cabbage. Seared fillet steak of salmon with langoustine baked fishcake, steamed broccoli and a beautifully contrasting tarragon & lemon butter sauce. 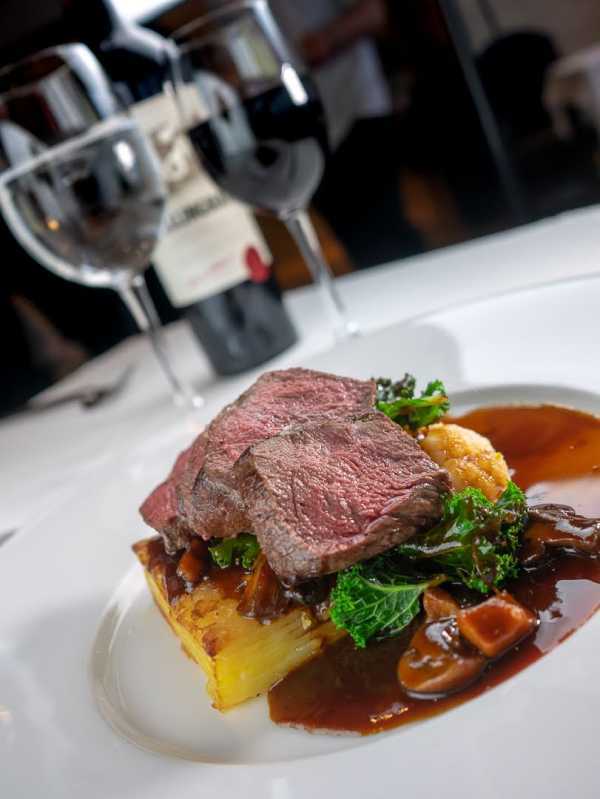 Roasted saddle of venison which is so tender, potato dauphinoise, seasonal vegetables and a rich, velvety port and mushroom sauce. Risotto and mushroom arancini cakes with truffle oil aioli, grilled pak choi and vegetarian parmesan shavings. A wonderfully satisfying dish. 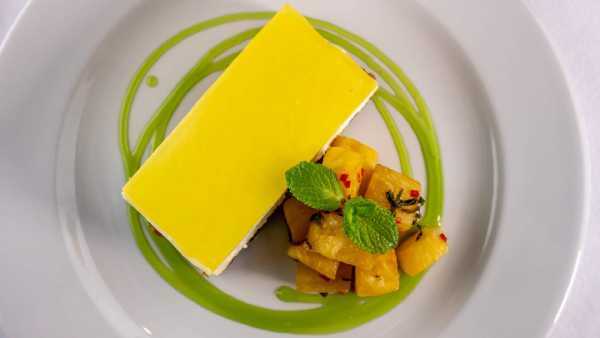 A deliciously smooth clotted cream and lemon cheescake, roasted pineapple salsa with a hint of chilli. A classic vanilla crème brûlée with puff pastry almond sticks. A definite for CB afficionados! A silky white chocolate posset with zingy passionfruit, mini meringues and mint jelly. Apple crumble cake slice that's beautifully light and served warm, caramel sauce and Chef's recipe cinnamon ice cream. We look forward to welcoming you to the Restaurant - to book a table call Reservations on 01631 730302.